Orthopedic surgery at CIMS Hospital in Ahmedabad is the surgical treatment of diseases and injuries affecting the musculo-skeletal system (the system that enables physically movement using the muscles and skeleton).The aim of orthopedic surgery at CIMS Hospital in Ahmedabad, therefore, is to restore lost function in any part of the musculo-skeletal system to allow the patient to return to their former way of life. Among the list of specialties, common procedures involve knee surgery, shoulder surgery, hip surgery and hand surgery. 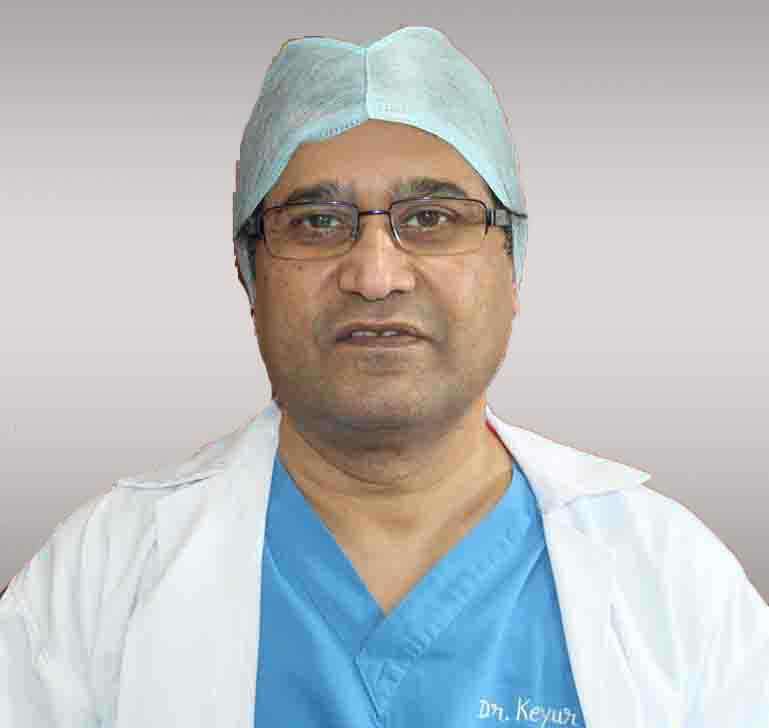 Where possible, the senior and leading orthopedic surgeons at CIMS Hospital in Ahmedabad use the latest minimally invasive surgical techniques to reduce recovery time. This is especially helpful with knee and back surgery, where the area being operated on is particularly complex and delicate. Hang surgery – carpal tunnel release, trigger finger surgery, wrist surgery, replacement and small joints & hand, rheumatoid hand and wrist surgery. 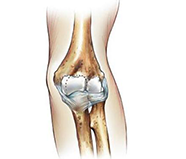 In knee replacement surgery, the damaged parts of the bones making up the knee, which rub together, are removed using highly specialized instruments and replaced with metal and plastic implants. 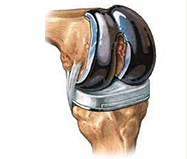 HOW KNEE REPLACEMENT IS DONE ? Once you are under general anaesthesia or spinal/epidural anaesthesia, an 6 inch cut is made in the front of the knee. The damaged part of the joint is removed from the surface of the bones, and the surfaces are then shaped to hold a metal or plastic artificial joint called Prosthesis. The Prosthesis is attached to the thigh bone, shin and knee cap with cement. When fit together, the attached artificial parts form the joint, relying on the surrounding muscles and ligaments for support and function. 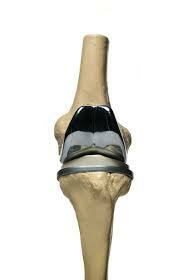 WHY KNEE REPLACEMENT IS DONE ? Knee Replacement Surgery is recommended for people over the age of 50 with a stiff, painful knee that makes it difficult to perform even the simplest of activities usually due to osteoarthritis, rheumatoid arthritis or traumatic injuries and fractures. WHAT TO EXPECT BEFORE AND AFTER SURGERY ? Once you and your surgeon decide that this surgery is right for you, a date will be scheduled for your surgery. Several things may be necessary to prepare for surgery. For example, your surgeon might ask you to have a physical examination by an M.D. physician or your regular doctor. Because blood transfusions are likely to be needed during your surgery, you may want to donate one unit of your own blood or possibly two units if your surgeon feels it is needed. All preparations for surgery should be discussed with your surgeon. 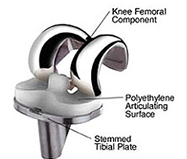 The average hospital stay is usually 4 days for knee replacement surgery. Almost all patients show a dramatic improvement within a month. 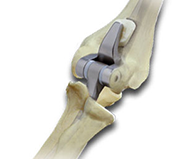 Most people report a major reduction or no pain in the damaged joint once it is replaced by the artificial joint. 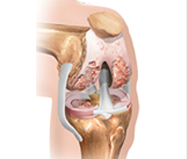 After knee joint replacement, many people are standing and moving the joint a day after the surgery. After about six weeks, most people are walking comfortably with minimal assistance. Once muscle strength is restored, people who have had knee joint replacement surgery can enjoy most activities except running and jumping. 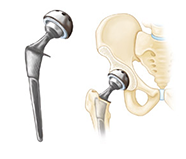 At CIMS Hospital Ahmedabad, during hip replacement surgery, the painful parts of the damaged hip are replaced with artificial hip parts called prosthesis allowing smooth, nearly frictionless movement. Hip Replacement Surgery is a surgery that we perform at CIMS that restores mobility and reduces pain in patients having damaged hip joints. 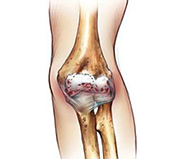 The damage can be caused by various reasons including osteoarthritis, fractures or tumours. 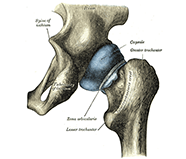 HOW HIP REPLACEMENT IS DONE ? 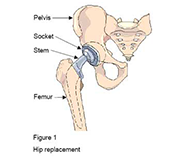 In total hip replacement surgery, the surgeon at CIMS Hospital in Ahmedabad uses metal, ceramic, or plastic parts to replace the ball at the upper end of the thigh bone (femur) and resurfaces the hip socket in the pelvic bone. It replaces the damaged cartilage with new joint material in a step-by-step process. Doctors at CIMS Hospital Ahmedabad may attach replacement joints to the bones with or without cement. Cemented joints are attached to the existing bone with cement, which acts as glue and attaches the artificial joint to the bone. Uncemented joints are attached using a porous coating that is designed to allow the bone to adhere to the artificial joint. 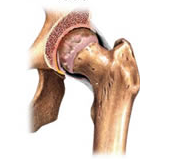 Over time, new bone grows and fills up the openings in the porous coating, attaching the joint to the bone. Doctors may use general or regional anaesthesia depending on the general health of the patient. 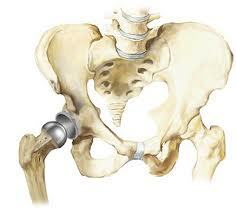 WHY HIP REPLACEMENT IS DONE ? Your doctor at CIMS Hospital in Ahmedabad may recommend that you take antibiotics before and after the surgery to reduce the risk of infection. If you need any major dental work, your senior doctor may recommend that you have it done before the surgery. Infections can spread from other parts of the body, such as the mouth, to the artificial joint and cause a serious problem. After the surgery, you will receive antibiotics for another day and pain killers and anticoagulant medication for a few weeks after the surgery at CIMS Hospital in Ahmedabad. You may also have a compression pump or compression stocking on your leg, which squeezes your leg to keep the blood circulating and to help prevent blood clots. And you may have a cushion between your legs to keep your new hip in the correct position. Your may need to do simple breathing exercises to help prevent congestion in your lungs while your activity level is reduced. You may also learn to move your feet up and down to flex your muscles and keep your blood circulating. And you may begin to learn about how to keep your hip in the correct positions while you move in bed and get out of bed. Usually, the patient needs a walker, a cane, or crutches for few days after the surgery. In general, most people get out of bed with help on the day of surgery or the next day. A CIMS Hospital Ahmedabad physiotherapist will teach you how to exercise, walk, and do activities such as dressing and cooking while you allow your hip to heal. Monitor the surgery site and your general health, after you go home. For a while, you may need to sit only in high chairs (not on low seats that flex your hip more than 90 degrees), use a toilet seat raiser, and sleep on your back. 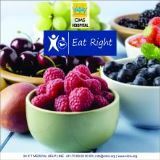 You will have an exercise program before you leave CIMS Hospital in Ahmedabad to follow when you go home. You should also take a short walk several times each day. If you notice any soreness, try a cold pack on your hip and perhaps decrease your activity a bit, but don’t stop completely. Staying with your walking and exercise program will help speed your recovery. Controlling your weight will help your new hip joint last longer. Stay active to help keep your strength, flexibility, and endurance at it’s best. Your activities might include walking, swimming (after your wound is completely healed), dancing, golf (don’t wear shoes with spikes, and do use a golf cart), and bicycling on a stationary bike or on level surfaces. More strenuous activities, such as jogging or tennis, are not advised after a hip replacement. The shoulder replacement surgery includes replacing the ends of the damaged upper arm bone (humerus) and the shoulder bone (scapula) with artificial surfaces lined with plastic or metal and plastic. 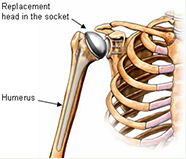 Shoulder joint components may be held in place with cement. HOW SHOULDER REPLACEMENT IS DONE ? The top end of your upper arm bone is shaped like a ball. Muscles and ligaments hold this ball against a cup-shaped part of the shoulder bone. Surgeons at CIMS Hospital Ahmedabad usually replace the top of the upper arm bone with a long metal piece, inserted into your upper arm bone that has a rounded head. 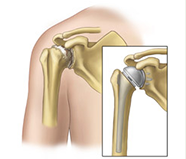 If the cup-shaped surface of your shoulder bone that cradles your upper arm bone is also damaged, doctors smooth it and then cap it with a plastic or metal and plastic piece. 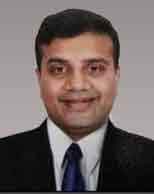 WHY SHOULDER REPLACEMENT IS DONE ? Your doctor at CIMS Hospital in Ahmedabad may recommend that you take antibiotics before and after the surgery to reduce the risk of infection. If you need any major dental work, your doctor at CIMS Hospital in Ahmedabad may recommend that you have it done before the surgery. Infections can spread from other parts of the body, such as the mouth, to the artificial joint and cause a serious problem. You will have intravenous (IV) antibiotics for about a day after surgery. You will also receive medicines to control pain and sometimes anticoagulants. After the surgery at CIMS Hospital in Ahmedabad, a bandage is applied on the shoulder and probably a drain to collect fluid and keep it from building up around the shoulder joint. You may have a catheter connected to your bladder, so you don’t have to get out of bed to urinate. You may also have a compression sleeve on your arm. This sleeve squeezes your arm to keep the blood circulating and to help prevent blood clots. A physiotherapist at CIMS Hospital in Ahmedabad may begin gentle exercises of your shoulder on the day of surgery or a day after your surgery. These exercises are done to relax your arm and let the physiotherapist move your arm for you. Rehabilitation after a shoulder replacement starts right away. It is very important that you do it. The main goal of rehabilitation is to allow you to move your shoulder as far as possible so you can perform daily chores easily. Most people eventually regain normal shoulder motion after 6 to 9 months of surgery. It is very important that you take part in physical therapy both while you are in our hospital and after you are released from the hospital to get the most benefit from your surgery. Rehabilitation typically continues after you leave the CIMS Hospital Ahmedabad until you are able to function more independently and you have recovered as much strength, endurance, and mobility in your shoulder as you can. 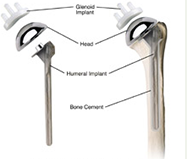 In elbow replacement surgery, the damaged parts of the humerus and ulna bones are replaced with artificial components made up of a metal and plastic hinge with two metal stems. Total Elbow Arthroplasty or Elbow Replacement is a surgery that restores mobility and reduces pain in patients having damaged elbow joints. The damage can be from traumatic injury or from a disease like Rheumatoid Arthritis. HOW ELBOW REPLACEMENT IS DONE ? 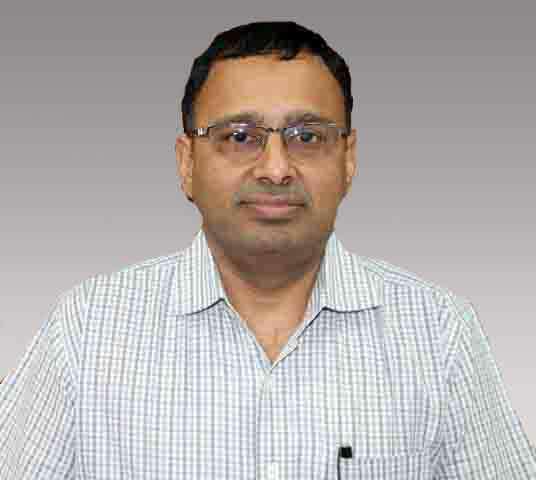 During the elbow replacement surgery, our surgeon at CIMS Hospital in Ahmedabad removes damaged tissue and parts of the two arm bones, the humerus and the ulna meeting at the elbow joint. 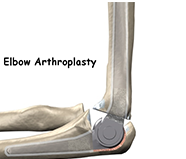 Once the tissue and the bone is removed, the elbow joint is replaced with an artificial joint called Prosthesis. 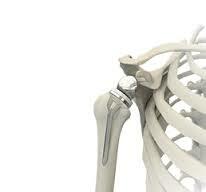 The prosthesis consists of two implants that are attached to the insides of the ulna and the humerus. The Prosthesis is joined using a metal and plastic hinge. 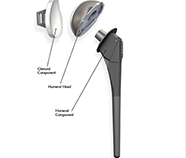 There are various types of implants available that fit joints of varying sizes. 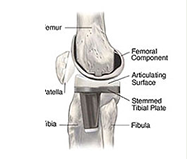 Elbow replacement is relatively uncommon but it is similar to hip and knee replacement. WHY ELBOW REPLACEMENT IS DONE ? Earlier elbow replacement was carried out for patients whose joints had been severely damaged due to Rheumatoid Arthritis. They are still the most benefitted due to this surgery. In younger and more active people, early failure of the mechanism is much more likely; therefore, it is recommended for people older than 60 years of age. It is strongly recommended to discontinue smoking prior to the surgery. 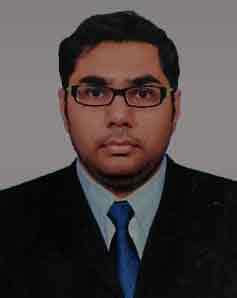 The patient also needs to address any infections and control any other medical problems that he may be suffering from. The surgeon must be informed of all the existing health issues including allergies, use of prescription and non-prescription medications, alcohol consumption or taking any vitamins or other supplements or any other herbal or homeopathic medicine. The surgery at CIMS Hospital in Ahmedabad takes nearly two hours. It is performed under general or nerve block anesthesia. Once our surgeon at CIMS Hospital in Ahmedabad implants the joint, the wound is closed with stitches and then covered with a bandage. The arm is usually kept in a splint to keep it stable. Elbow replacement involves cutting skin, tendons, and bone, and so you will be given strong pain medications for one to two weeks after the surgery is done. You should be prepared to be less functional than usual for six to 12 weeks after elbow replacement. Simple exercises and other types of physiotherapy will need to be done to increase the strength and mobility of your arm. Typical range-of-motion exercises include bending, straightening, palm down, and palm up exercises. Elbow replacement usually reduces pain and improves elbow function during sleep and activities of daily living. If you take care of your elbow after surgery and avoid activities that can damage your elbow, you can expect to enjoy the benefits of the surgery for decades.